The website of the Christie Cancer Hospital with useful information on cancer and chemotherapy. The website of the Royal Marsden Hospitals, with useful information on cancer and chemotherapy. Provides written information and telephone support to anyone who has any kind of facial disfigurement. Mouth Cancer Foundation UK is a charity with a web site that aims to help patients and dentists find free information on mouth, oral, throat and other head and neck cancers. If you would like to talk to someone who has been in a similar situation, Saving Faces can put you in touch with others who have had facial surgery. The British Association of Skin Camouflage have detailed information about camouflage make for people who need help to cover up scars and disfigurements after head and neck cancer surgery. They promote, support and further the remedial techniques of skin camouflage. It runs training courses for camouflage cosmeticians who offer consultations to individuals suffering from facial blemishes or disfigurements. Macmillan Cancer Support provides care and support for people with cancer at every stage of their illness through Macmillan nurses, Macmillan doctors, and a programme of financial help for patients in need. It offers information, advice and emotional support to cancer patients and their families. It has publications about the main types of cancer, treatments and ways of living with cancer. There is also a freephone telephone and letter information service, provided by a team of specialist cancer nurses, on all aspects of cancer and treatment. Their benefits advice line offers advice on financial matters generally. The Cancer Laryngectomee Trust provides assistance for people who have had a laryngectomy because of cancer, and their carers. Also produces a newsletter. International Association of Laryngectomies is an information site and social forum for people who have had a laryngectomy. There is information on problems during and after treatment and on the different ways of speaking after laryngectomy. Aims to promote the welfare of people who have had a laryngectomy, and their families. Produces a video and a range of booklets, including a handbook for people who have had a laryngectomy. Supports 96 local clubs and can arrange hospital visits before and after your operation. 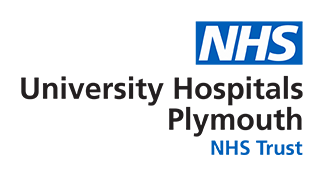 The Plymouth Laryngectomy Club aims to offer support and care to the laryngectomees and their families in Plymouth. This is the professional body for speech therapists in the UK. It can advise on speech therapy services and provide other information of use to people who have had a laryngectomy. Alcohol is one of the main contributors to mouth and oesophageal cancers. There are many organizations to help you decrease or stop drinking alcohol. The News and Resources website offers information about alcohol and how it relates to cancer (click here). The NHS offers information and support if you are concerned about your alcohol intake or are affected by someone who may need help. Down Your Drink offers a simple test to see if you are drinking too much alcohol (click here). Stopping smoking is a great challenge. The organizations listed below can help.